I’ve always had a great fascination for tarot cards and other similar meaningful/figurative cards, such as the Kille card deck. As an eleven year old, I created my first divination game, based on my own cards. I’ve since worked on many projects that incorporated divination and tarot cards in different forms. 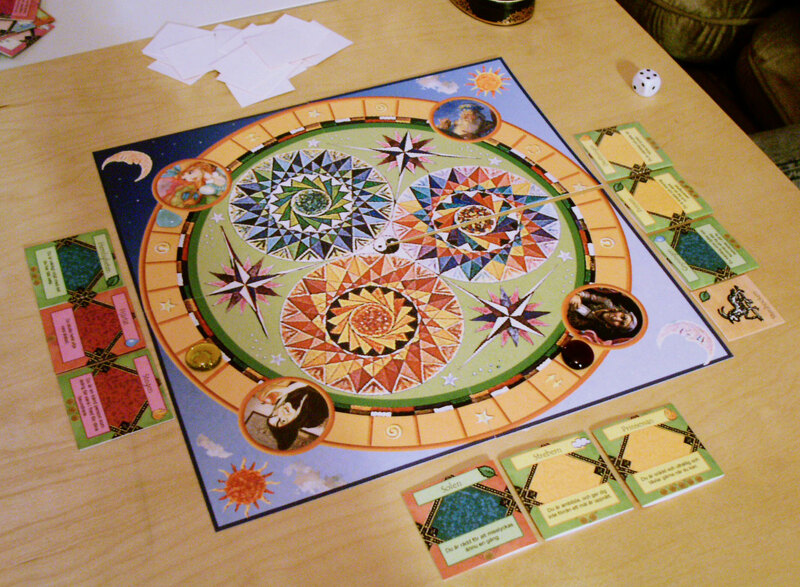 One example is the board game prototype The Fortunate, where players created a prophecy for their own future (similar to a horoscope) by collecting tiles. 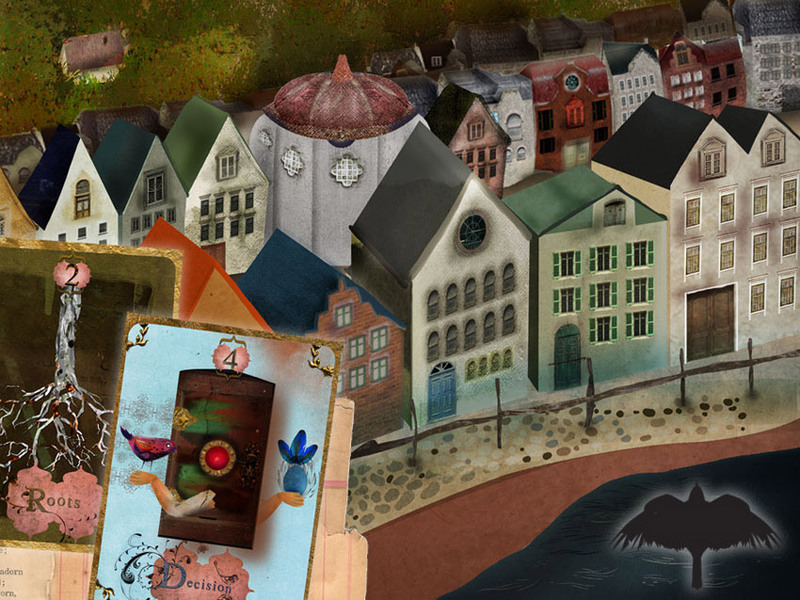 In the unreleased Ozma project The Silent Town, tarot cards were an important part of the mechanics. 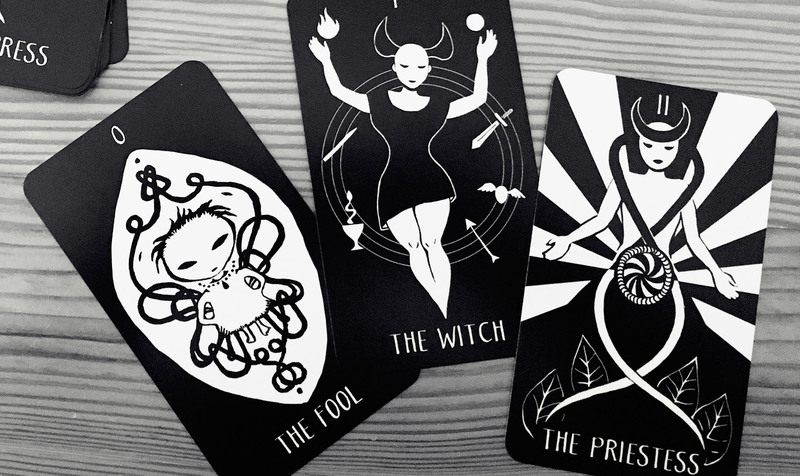 They were used to determine the fate of the game’s characters, in a tarot play session inside the subconscious. 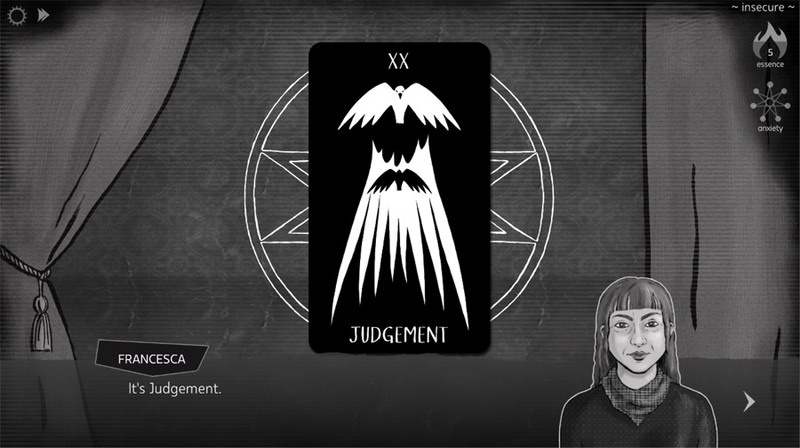 In Knife Sisters, the tarot cards are not part of the game’s mechanics, instead the main character can do a tarot reading at an event in the game’s Occult shop. I finally got to illustrate my own version of the Major Arcana for use in the game. It wasn’t until I was about to write the tarot scene in Knife Sisters that I actually researched more in-depth what the individual cards meant. Up until that I had mainly been interested in them as concepts, as game design components, but also a bearer of some elusive, magical meaning. I think some games have a quality that is rarely talked about, but very important, that is just that: They stand for the magical, the mysterious, the things we cannot explain. In a way that’s the complete opposite of what most games are built upon: logical systems. But it’s not really a contradiction. A logical system can be made to contain and enhance more esoteric phenomena, and that’s exactly what a tarot layout does. It’s also what makes games so fascinating: they can incorporate both the logical and the fantastic. I’m not sure that I personally will continue using tarot cards for tarot readings, but I do see why you’d want to. They can definitely serve as keys to find personal meaning, to view things in a new light, and to connect to emotions that might be hard to grasp. My fascination for combining logical systems with components that have symbolic meanings will probably never diminish.